Why is DocuPet in Teller County? Teller County and DocuPet have partnered up to offer an enhanced Pet Ownership Program for Teller County residents. The DocuPet solution includes online license payments, pet tag distribution, customer service, renewal notice distribution, and community awareness campaigns. Pet owners must now license through the DocuPet program in order to secure a Teller County pet license. If you wish to license or renew from the comfort of home, you can do so online here. You can also call into DocuPet customer service at 1-877-239-6072 between 7:00AM and 6:00PM CST to license or renew over the phone. 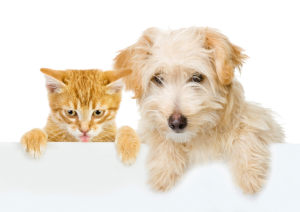 Your pet’s information can be edited via your online profile at any time. If you don’t have an online account get in touch with us via phone at 1-877-239-6072 or via email at info@docupet.com. While we're at it, we can also help get your online account activated. Our customer service hours are from 7:00AM to 6:00PM MST, Monday through Friday. I have moved out of Teller County, how can I notify DocuPet? We're sorry for your loss. You can update a pet's profile via your online account or we can take care of it for you if you call 1-877-239-6072 or email info@docupet.com. Our customer service line is answered from 7:00AM to 6:00PM MST, Monday through Friday. How do I active my online account? In order to activate your online account, you will need your access code and ZIP code. You may also activate your account with your pet's name, thier existing tag number, your ZIP code and phone number. Learn more here. Your access code can be found on almost all communications sent to you from DocuPet, including your mailed renewal letter and printed receipt. Otherwise, you can contact a DocuPet Customer Service representative at 1-877-239-6072 or info@docupet.com and they will provide it. Our customer service department is available Monday through Friday from 7:00AM to 6:00PM MST.